Focusing on substantive, relevant, real-life storytelling for a crowded children’s entertainment landscape dominated by fantasy and fairytale, Fun Academy uses true historical events and great works of literature to create age-appropriate, intergenerational content for the whole family. First step: start with the story. History is filled with epic adventures, unsung heroes, scientific breakthroughs, artistic milestones…everything we love in fiction has, in some form or fashion, actually happened. By focusing on real story-driven content, controlling corporate overhead, and building strategic partnerships with relevant institutions, Fun Academy creates films that the general public and special interest groups can equally appreciate. Fun Academy is the first feature animation studio headquartered in the state of Georgia, an emerging leader in the global film industry. We partner with international, regional, and local firms – including Technicolor, the Georgia Film Academy, Columbus State University, and independent creative professionals – to create world-class cinematic experiences that bridge the gap between creative and commercial. Fun Academy Motion Pictures was the first motion picture distributor in Georgia, opening Sgt. 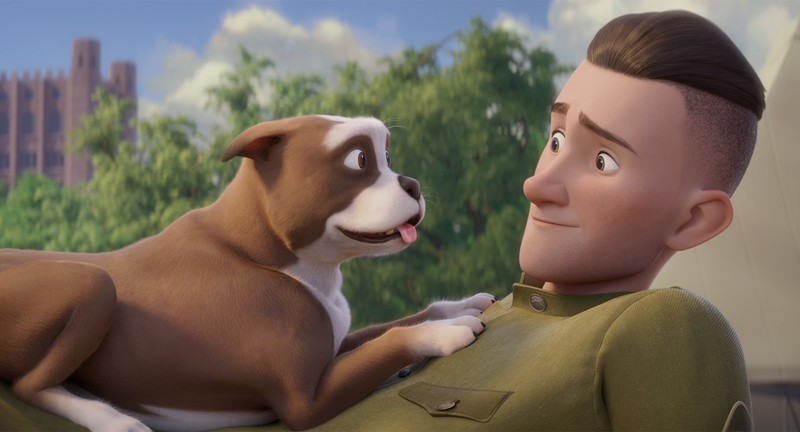 Stubby: An American Hero on over 1,700 screens across the United States and Canada as well as a dozen (and counting) international territories through territorial partnerships. We rely on our team’s experience in film distribution and exhibition – including commercial multiplexes, international television broadcasts, home media, and institutional/giant screen cinema – to deliver quality content for every appropriate market and medium. Because our content is pulled from true events, we tap into pre-existing segments of the general public – i.e. cause-related activists, historians, teachers, parents, special interest groups – to form a core audience of engaged supporters before any promotional dollars are spent. A great movie experience doesn’t end when the lights come on. Fun Academy works directly with educators, authors, and artists to produce a multitude of associated products to foster the creative growth stirred by our films: educator’s guides, activities, social/digital/broadcast media, and public events are all part of our grassroots effort to communicate directly with our core audiences. We also work closely with non-profit partners and international brands that share our commitment to quality entertainment and global citizenship. Copyright 2019 · Fun Academy Media Group, Limited. All Rights Reserved.